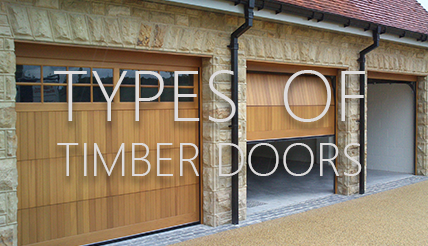 A timber one piece up and over garage door probably offers the greatest flexibility in terms of door design as it is not restricted by the divisions in panels like a sectional, side-hinged or round the corner door. The up and over timber door is produced mainly in 2 different construction methods - traditional joinery and chassis build. A traditional style construction of timber door means using traditional methods such as mortice and tenon jointing, dowels and visually pleasing strengthening sections on the back of the door panels. 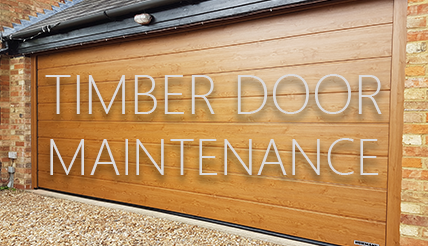 The door panel once finished is then fitted with appropriate operating gear installed directly to the timber panel itself with all weatherstrips, roller and locking plates also screwed into the timber. This door construction method also lends itself to using a timber fixing sub frame to complete the whole visual effect and maintain consistency throughout with timber. The second method of construction, and far more common these days is the use of a steel box section chassis constructed to provide a blank canvas for the infill of a timber door design, generally unaffected by issues with timber movement, as well as expansion and contraction in different climates. The steel chassis is very strong without the timber infill section and all the gearing and locking is fitted directly to the steelwork and not the timber. The use of this method also means you can have a steel box section fixing frame and achieve far tighter tolerances between the door and sub frame. Better security and better weather sealing. Factory fitted box section steel frame or timber sub frame options. Sizes up to 4900mm wide and 3000mm high in almost limitless designs. Various timbers available from sustainable resources only. Construction of main door panel available in either steel chassis or traditional mortice tenon jointed methods. Optional multipoint locking for maximum security benefits. Standard or purpose made sizes with optional factory applied microporous treatments in a wide choice of colours. 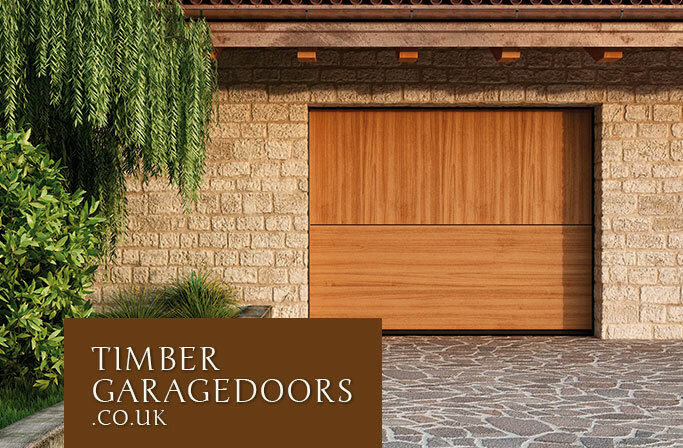 Traditional style one piece timber garage doors in canopy or retractable operating gear options. 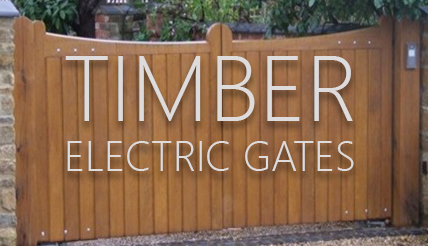 All timber up and over garage doors can be manual or electrically operated at any size with vast options on the access control for the electric option. We supply timber doors from the companies listed below as well as help design bespoke doors using preassembled operating chassis panels or bespoke lifting gear for joinery assembled door panels. Weight of the timber used in the door design is the key factor in getting the right door gear to suit. Maintenance and longevity of timber garage doors is a common concern, but we believe that with the right treatment from the start, the up keep should be no greater than that of a steel door. Here, we detail the correct treatment for different styles of door. 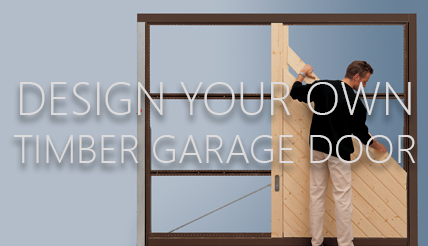 With a wide variety of door types available, we built a quick guide to help you decide which type of garage door is for you. From traditional Up and Overs to more impressive Round The Corner or Trackless Sectionals, we are bound to have something for you. Not so many years ago automatic gates were considered a luxury item, affordable by only the wealthiest and suitable only for mansion type properties. Not so any more! Need to match a specific architectural feature on your property? Take a look at the superb Hormann 2011 'open for infill' garage door system. If you cannot find the design of timber garage door you require anywhere or need to match a specific architectural feature on your property then take a look at the superb Hormann 2011 'open for infill' garage door system. Have your new timber door factory finished for the perfect protection from the elements. Large range of standard wood stains and paint finishes. Why buy a custom front door?